(PhysOrg.com) -- Broadcom is highlighting a second coming of Wi-Fi in the name of the new IEEE standard 802.11ac, with this weeks announcement that its products based on the nascent standard will be ready for shipping in the second half of next year. 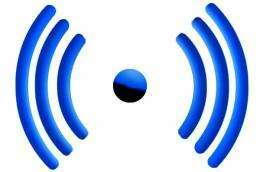 The IEEE 802.11ac is a wireless standard of 802.11 under development. Wireless network service will be strengthened in three ways: in speed, longer range and battery efficiency. Broadcom provides system-on-a-chip and software solutions. Those who use Broadcom products are computing and networking equipment, digital entertainment, broadband-access, and mobile device manufacturers. At a media event in San Francisco this week, the company executive who talked about Broadcom's push into 802.11ac also spoke on why the technology was advantageous. Rahul Patel, the companys vice president of mobile and wireless, said the new version can operate at a speed of as much as 1.3 gigabits per second. The 802.11ac is also being singled out as using the less crowded 5Ghz band, which will be less prone to interference. As for battery advantages, since the speed is faster, it will take less time for the client to work to transmit and receive data compared with the 802.11n client. The new version offers longer range and improved wall penetration , adding up to better home service. Patel said the new speeds will make it ideal plumbing for the Internet-connected home. Improved connectedness will come none too soon considering consumer expectations with newer consumer electronic products. Patel said consumers will need faster Wi-Fi soon, to leverage features and functions of home technology devices such as being able to send multiple streams of video to their TVs. More devices than ever are competing for wireless connections in the home. According to a new consumer poll by JZ Analytics, nearly four times as many respondents have six or more wireless devices today than two years ago. The roadmap for the new standard, meanwhile, is populated with decisive stops along the way before full ratification of the standard. The Wi-Fi Alliance is holding its first 802.11ac compatibility testing plug-fest in the second quarter of next year. The event will lead to hardware interoperability. Existing hardware will be able to upgrade for any late changes to the standard via a firmware update This was the same procedure that was followed for 802.11n hardware, say observers. According to an IEEE industry perspective on the topic earlier this year, 802.11ac marks another milestone in wireless LAN throughputs. Since the adoption of the first 802.11 standard in 1997, there has been a steady and exponential growth in the maximum available data rate, said the article, authored by Qualcomms Richard Van Nee. The 802.11ac task group began work on the amendment to achieve aggregate throughputs beyond 1 Gb/s in the 5 GHz band. The 802.11ac standard will in turn represent a significant push of wireless LAN throughputs over the gigabit-per-second barrier. Excellent. We do need faster wireless systems. Sweet, my father works for Broadcom. It must be tough living in Australia with all those worthless opinions clogging up the place. Uh hello NBN fibre network? How does AC=29? Wouldn't 29 be CZ if following the math? My problem isn't the wireless portion, it's the ... waiting .. waiting ... waiting... Mostly for google links. It would be nice if companies would design pages to load THEIR content, then go out and fetch links. It's just like decimal numbers. * After 9 we go 10, after Z we go AA. * Except there's no zero in alphabetical incrementation, which makes it a bit weirder.